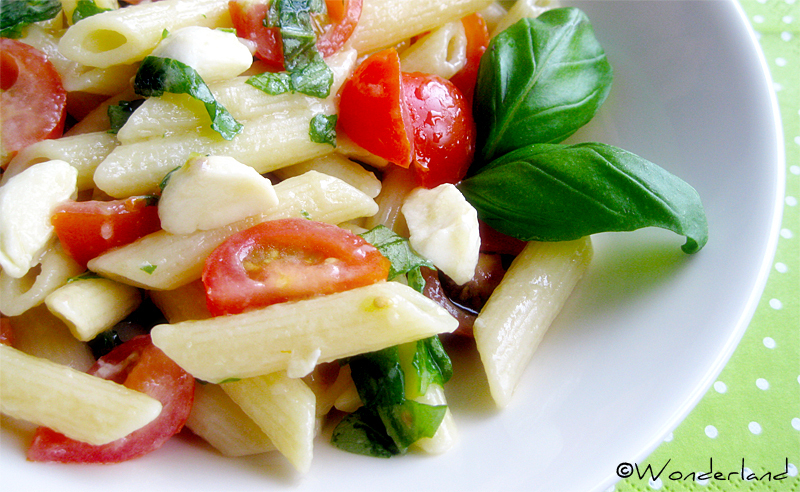 Along with rice salad, cold pasta is one of the most common foods in Italy during the hot sweaty summer. 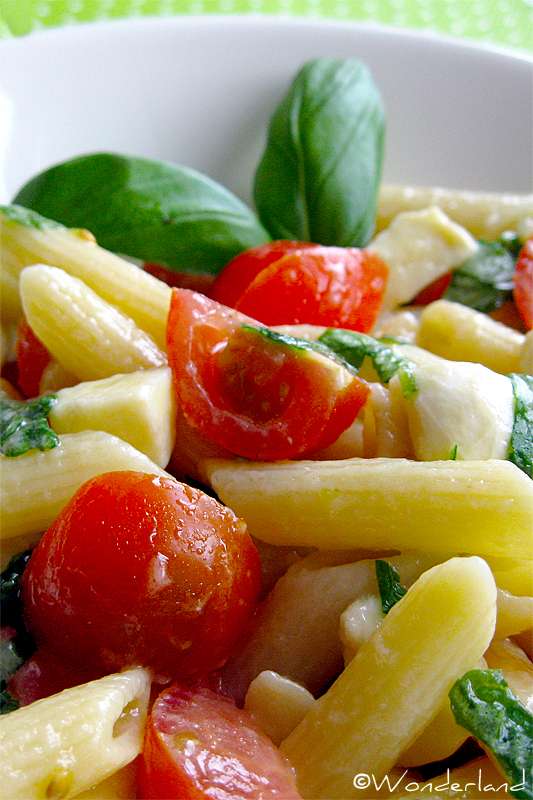 As the name implies, it is a pasta that's meant to be enjoyed cold with the addition of few fresh ingredients. Everyone makes it their own way, this is how I always cook it: easy and light! The main ingredients are really few: pasta (of course! ), mozzarella, cherry tomatoes and basil. 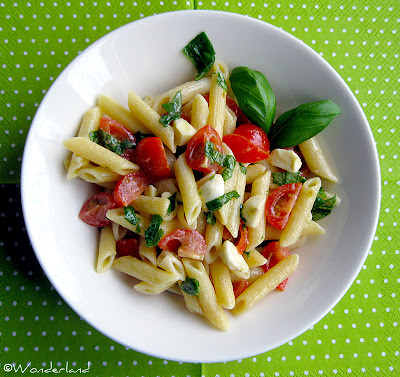 Cold pasta can be stored in the fridge for 2-3 days without problems and in summer is handy to bring at work because it doesn't need to be warmed up. It's also perfect for picnics! Cook the pasta in boiling salty water. When it's al dente, drain it some under cold water and put into a large bowl. Add a little bit of oil, stir and let it cool down mixing every now and then (so it doesn't get sticky). Wash and cut the tomatoes in half or into 4 parts. You can use the mozzarella balls as they are, I cut them in half. 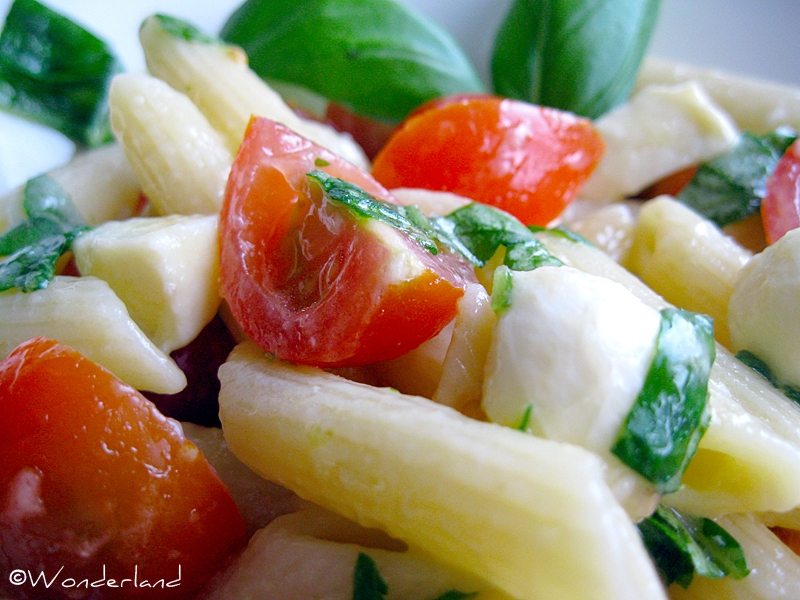 Mix the ingredients together with the pasta. Add salt and oil up to taste and at the end chopped basil. Serve cold or at room temperature.